In many cultures and traditions, including Nordic, Siberian, Slovak, Finnish, Germanic, and Hindu, the World Tree connects three worlds: heaven, the earth, and the underworld. The Tree constitutes an inter-dimensional stairway to other realities. In the Americas, this idea is present in Mayan, Aztec, Olmec, Mixtec, Mapuche, and Incan cultures, among others. In these cultures, the World Tree is commonly represented in relation to the four cardinal directions: north, south, east, and west. With this, the tree transforms into the Axis Mundi, which marks the center point through which all directions converge; the fifth direction through which we can move up or down, within or without, through macrocosm or microcosm. In the Andean worldview, this allegory is represented by the Chakana. The Chakana represents the three worlds: the world above (Hanan Pacha), the middle world (Kay Pacha), and the world below (Uku Pacha). For the Andean people, the intermediate reality of the here and now, that which we all inhabit, emerges from the balance between complementary pairs. This reality manifests itself in the crossing point between the below and the above, the center and the periphery, the interior and the exterior, the feminine and the masculine, and the Earth and the Heavens.In this way, the central circle of the Chakana represents the Pachamama, or Mother Earth, in whose core is located the below, central, interior, and feminine world. The exterior square symbolizes the Pachatata, or Cosmic Father, in whose periphery is found masculinity, subtlety, and the cosmic. From this union, intersection, or crossing, and from the balance between each, emerges the middle world. It is surprising to see how in the Tantrism practiced in the Himalayas, that is to say, in the antipodes of the Andes, there exists a symbol very similar to the Chakana called the Bhupura. Tantric philosophy is based on a collection of texts called Tantras and written between the 7th and 13th centuries CE. Its principal feature is that of not denying, rather embracing. This means accepting all possible paths without believing that some are better than others, or that some separate us from divinity rather than bringing us closer to It. Tantric philosophy states that we are required to act with awareness, and in doing so every action can bring us closer to God. By embracing instead of denying, Tantrism has been able to explore phenomena and experiences that other philosophies or religious tendencies censored or never dared to approach. It is to this exploration that we owe the knowledge of the chakras, the design of mandalas, the intonation of the mantras and the visualisation of the yantras. The Bhupura serves as the basis for many Yantras. Yantras are mystical diagrams seen in states of profound meditation. They are manifestations of the causal plane, the most subtle of all possibilities, and that we could consider equivalent to the world above. 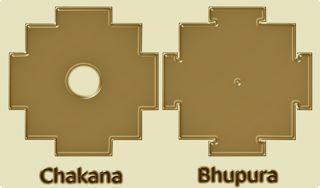 Meanwhile, Bhupura means city (Pura) of the Earth (Bhu) and forms a square with four access portals. Each one of these portals is orientated toward one of the cardinal directions, same as the four “arms” of the Chakana. Another name that is given to the Bhupura is Trailokya-Mohana, the delusion (Mohana) of the three (trai) worlds (lokya): the upper, the middle, and the lower. For this reason, it is drawn using three lines, one to represent each world. 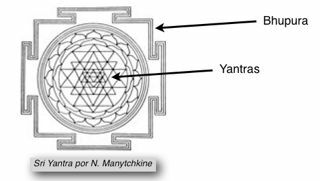 BOTH THE CHAKANA and the Sri Yantra are the same representation: a representation of Creation with its distinct planes of existence or levels of vibration, like a stairway that takes us from the subtle to the gross, or vice versa. In scientific terminology we would say that they represent the Universe in its totality, with its origin, its manifestation in space-time, its distinct levels of density, and its possible end. For the Andean people, the concept of space-time is ‘pacha’. Therefore, the Chakana is a representation of the three pachas or levels of space-time: the upper, middle, and lower. For the Tantrist it is ‘akasha’, the most subtle of the five cosmic notes, that which creates the void, the space-time in each successive plane of existence (loka), so that the remaining four notes (air, fire, water, and earth) can also manifest and create. Both cultures know that space and time are two sides of the same coin, the same thing seen from opposite angles. When observed as time, it shows itself to us as being cyclical. For this reason, in Hindi, the same word is used to say yesterday and tomorrow (kal). In a similar way, in Quechua (Andean language) the same word is used for “last year” and “the most distant year in the future” (kunan wata). When observed as space, it is shown as curved. The cycle and the curve, by definition, constitute two finite concepts, that is to say, they have a beginning or an emanation point, which is at the same time the final point of reabsorption. In the Chakana as well as in Sri Yantra, this point is symbolized by its center. In contrast, the West believed for centuries that time was linear and space flat; that both were infinite and that one was unrelated to the other. And then, just over one hundred years ago, they merged the concept of space-time in order to recognize that space was curved (which necessarily brings a cyclical perception of time). These properties make them finite, and being finite they must have an emanation point, or beginning, and a point of reabsorption or end. Science calls this point the singularity. The emanation they call the Big Bang and the reabsorption the Big Crunch. 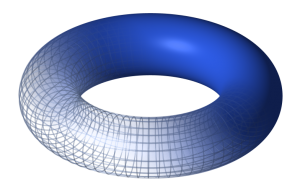 When we try to geometrically represent something cyclical (in time) that is also curved (in space), and that emanates from a point (the singularity), and is reabsorbed by the same point, the result is the torus. 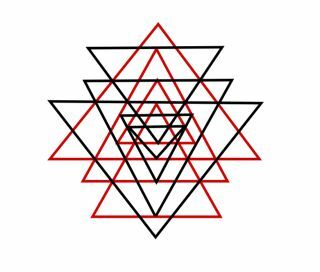 This is equivalent, in geometric language, to the representation of the Chakana or Sri Yantra. All three teach us that the Universe emanates from a point (the singularity), is manifested (explodes) to then be reabsorbed (implodes) into the same point and be manifested again in a perpetual motion that had neither beginning nor end. THE SRI YANTRA and the Chakana also tell us of the origin of Creation, of its first cause, something that science usually eludes by focusing more on the “how” and avoiding the “why”. According to Tantric and Andean philosophies, this origin emerges from the union between two complementary pairs. Sri Yantra represents it by means of its nine central triangles. Four of these triangles point upward to represent Shiva, pure consciousness, and the remaining five triangles point downward, symbolizing Shakti, the energy. From their intersection emerges the Creation in its first and most subtle manifested state. The Chakana, on the other hand, demonstrates this origin with the circumscription of three circles and three squares, where each square-circle pair represents one pacha, one of the three worlds. The circles represent the feminine principle, the Pachamama, the Earth, and the interior Universe. The squares represent the masculine principle, Pachatata, the Heavens, and the exterior Universe. 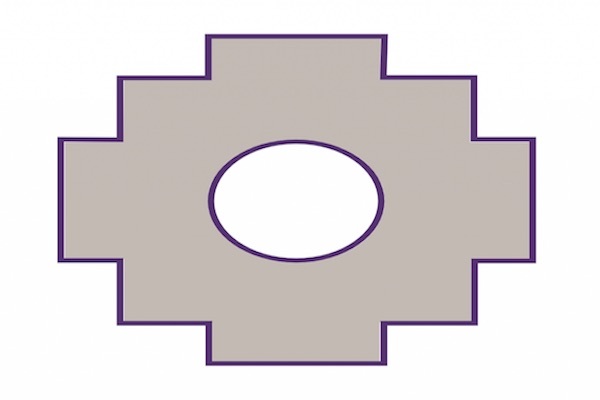 The Mapuche culture, also of Andean roots, has a similar symbol to represent the same idea. It is the ‘Kultrun’, used to decorate the ceremonial drum. The banging of the drum is an audible reproduction of the rhythm of the Universe, of its expansion and contraction, while the symbol of the Kultrun painted on the skin is the visual representation of the same. The Kultrún also demonstrates the union of complementary pairs that leads to the manifestation of perceptible reality. This union is symbolised by the rainbow, which is found at each of the four cardinal points. The rainbow represents the harmony that results from the combination of sunlight and rain, i.e. the union of two complementary elements. Sunlight is Fire and the rain is Water, thereby symbolising the Sun and Moon. These were called “*Taita Inti*” and “*Mama Qilla*” by the Incas, or “Surya” and “Chandra” by the Tantrists. The sunlight can also embody the Sky, and the rain the Earth, known as “*Pachatata*” (Father Sky) and “*Pachamama*” (Mother Earth) by the Incas, or Shiva and Shakti in Tantrism. 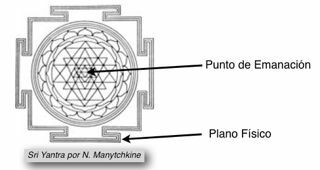 In the tantric Sri Yantra, the Andean Chakana, or the Mapuche Kultrun, as well as in the symbolism of many other cultures, the center symbolizes the emanation point or generation of the Creator force. However, the difference we find between the Sri Yantra on one side and the Chakana or the Kultrún on the other, is precisely how they perceive and interpret that center. For the Andean people, the center of the Chakana is Pachamama, the Mother Earth, the world below, while the periphery is Pachatata, the Cosmic Father, or the world above. Hence, the energy located at the center is ‘hucha’, that which is grosser and vibrates with a greater level of density; while the energy of the periphery is ‘sami’, the more subtle type. 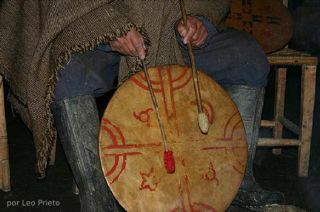 In a similar way, the Mapuche rainbow sometimes appears as a blue strip that borders the top band of the drum, which represents the Heavens (Huenu); a yellow strip in the middle representing the sun or the light of the day (Antu), and a green bottom strip near the center that symbolizes the Earth (Mapu). We see, then, that the earth people (indigenous populations of the world) usually place Mother Earth at the center of their symbolism and represent Her with a circle; while the Cosmic Father is found in the periphery. 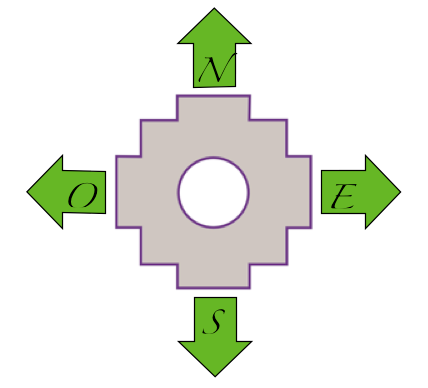 That is to say, the dense vibrations occupy the center and the more subtle vibrations the outer lying position. Thus, the earth people say that we are born in the womb of the Earth and that we then evolve from this center toward the periphery. They also consider that at the same time that we are evolving, we emulate the cosmic order. 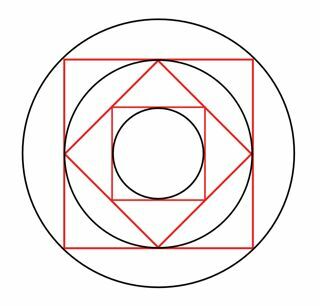 This order is based on the symbolism of the square, with its four sides or directions, which once reached, return us to the womb from which we emanated or were born. On the contrary, the air people (the East) say that we are born from the cosmic egg (Hiranyagarbha), which is also round and located in the center. And so, once the most subtle level of emanation is manifested, our vibratory density increases or, in the same way, our frequency diminishes until it reaches the material world of the periphery. This perception is reflected in Sri Yantra with the distinct vibratory levels that it defines. FROM ALL THAT, it can be understood that, as the spiritual axes of the planet, which they appear to be, the Andes constitute the feminine polarity, placing the feminine and the dense in the center, while the Himalayas represent the masculine, placing the masculine and the subtle in the same central point. Problems develop when we deny or ignore one of the pairs, and consider only the other to be divine. Of the Andeans, the Taoists, the Tantrists and the Anawaks, none ever made such mistake, however there are many philosophies and religions that have tried to attain Unity without having first included this idea of Parity. God as a pair is an expression of the perfect complementarity between its masculine and feminine manifestations. Sometimes this parity is expressed as two separate manifestations of the divinity, as in the Andean Pachatata (Father Sky) and Pachamama (Mother Earth), or the Tantric Shiva and Shakti. Other times is the expression of the-two-in-one, as in Ometeotl (That which is God and Goddess): the Mesoamerican (Anawak) divinity that includes this double, paired aspect as male and female; or Elohim, God as it was spoken of by Moses. The word Elohim comes from combining the Hebrew word “*Elōah*” (Goddess) with the “*īm*” masculine plural ending. The Elohim are therefore the Creators. The word can refer to two Creators in parity (dual grammatical number or to many (plural). However, there are those who refer to the One God as one expression of the pair, generally the male, but ignoring the other (i.e. female). It is the Father God and not Mother, or who is in Heaven but not on Earth. Neglecting parity tends to lead to duality, as in the dualism of good and evil, in which masculinity is seen as good and femininity evil, or vice versa. 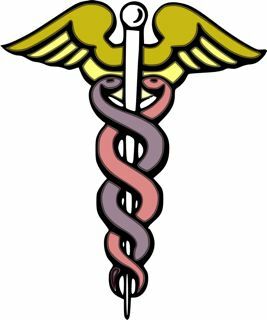 That has been the predominant perception during the Era that just ended, when one of the two serpents of that parity was compared to evil and was banished from the Earthly Paradise for an act of disobedience on our feminine part. For this, in the Era that has only just begun, it will be important to recover the mentioned parity. So much thinking on the Cosmic Father made us forget Mother Earth; something that brought us to the present environmental crisis. We have to recover the message from the earth people, that which tells us that we need to grow, just as the tree, as much upward as we do downward, and that without roots proportional to the top, the slightest breeze can knock us down. And those that desire to embrace the Unity of the Divine, will better do so once they have fully integrated that Parity because if one of the elements that define the Parity is ignored, they will be like a tree without roots. <li id="fn:fn2">Geometry is a Greek word that means measure (*metria*) of the earth (*geo*). <li id="fn:fn3">For more information about this relation, it is recommended reading “Qhapaq Ñan, la Ruta Inka de la Sabiduría” by Javier Lajo.